Let’s Get Rotten | Food It Yourself! We are on back half of winter here in New England, at least as far as the calendar shows. I have received about half a dozen seed catalogs, not counting the ones Mr. Food It Yourself disposed of before I could get to them. We had a very welcome thaw after weeks of record-breaking cold. The sun is peeping over the horizon when I am driving to work. Every day feels a little less gray and a little more green. And that is a very good thing, because I have a compost problem. Yup-getting close to the top of the box. Let me back up a step. For those of you who are unfamiliar with the concept compost is simply decomposed stuff that makes really good, inexpensive fertilizer. A compost heap is a gardener’s best friend. Go ahead and do a quick internet search and you will find all kinds of structures to help contain your compost while it rots. 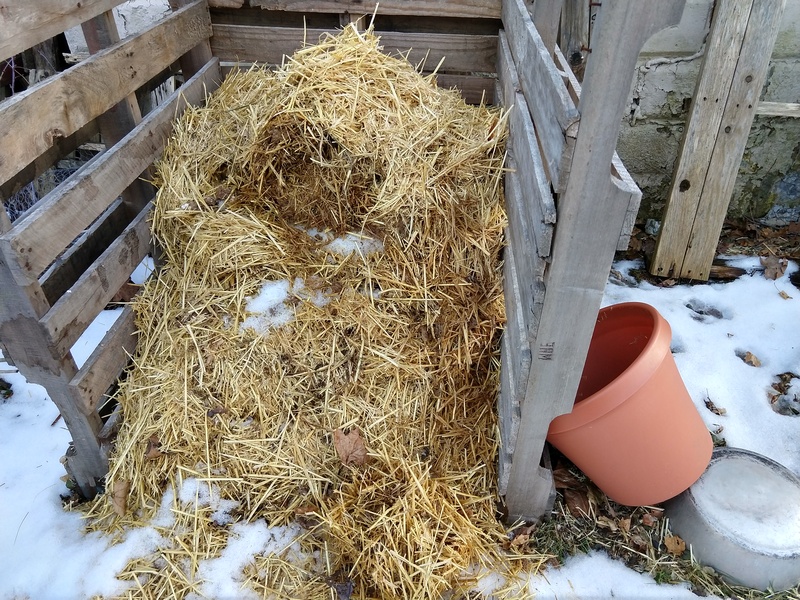 You can make a quick three-sided box of shipping pallets or invest in a gear-driven tumbler- it is your call- but I highly recommend you start a compost pile if you have a garden. The Environmental Protection Agency has an excellent page about composting at home. They even have a great list of what you should and should not compost! DIY Network has a very helpful page discussing the pros and cons of different types of compost repositories. 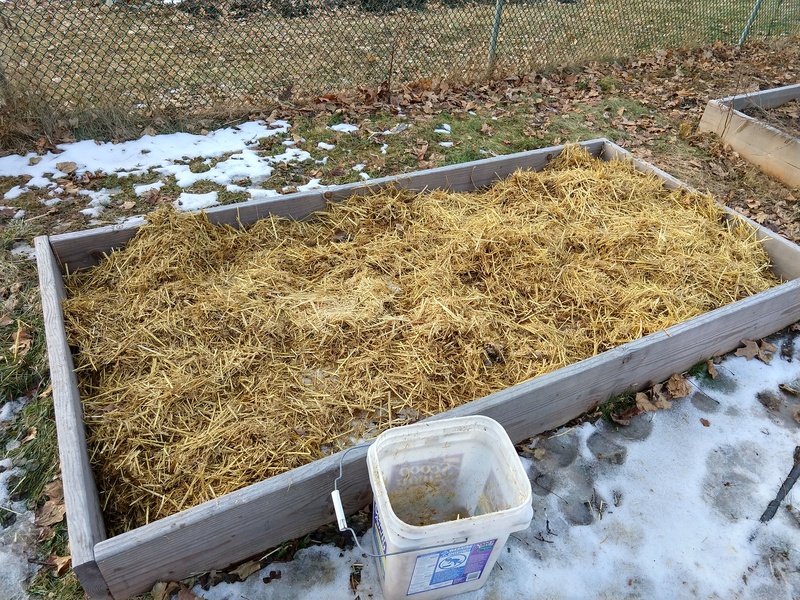 Short on space for composting? According to Cornell University creating a worm box to break down your scraps is super easy. I think they are correct! So, my problem? 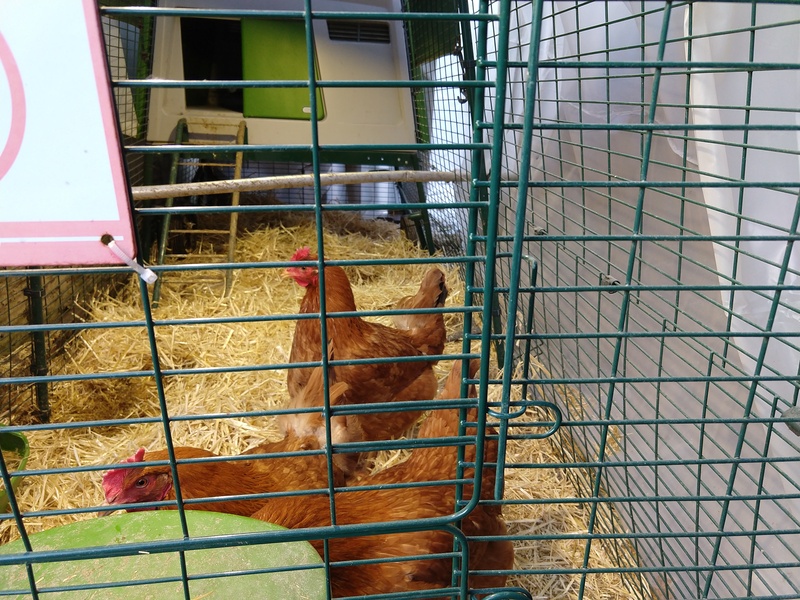 We have stopped dumping egg shells and kitchen craps on our heap, but the chickens are still producing used coop litter. Not much more we can fit in the 2017-2018 fallow garden box. Next time I muck out the coop I’ll have to start the 2018-2019 fallow box. Chicken manure is an excellent addition to compost- once it has thoroughly decayed. Things do not really decompose during New England winters, though, and I am running out of places to put the litter! What is to be done? Not much, unfortunately. The internet is full of products that claim to jump-start the composting action. They are usually made of enzymes, microbes, nitrogen, or some combination of these. However, most of the information I found from sites that were not selling something is that compost starters/activators are not worth the money. After all, most compostables are full of microbes, and chicken poop is high in nitrogen. For now, the plan is to start turning my heap(s)frequently as the warm weather hits, and in the meantime-starting a new heap. I might sneak a few worms into the piles, too. Many sources recommend adding worms. The fact is, like all good things, compost takes time. I guess I just need to stop being so impatient. What are you impatient about during the off-season? Share in the comments section! Here they go- making more litter. The good thing about chickens is that even their poop is useful.